Welcome to our Albemarle Frame. We absolutely love this frame, it is a very unique and unusual. It isn’t ornate as such, but there is lots going on without being in any way overpowering. 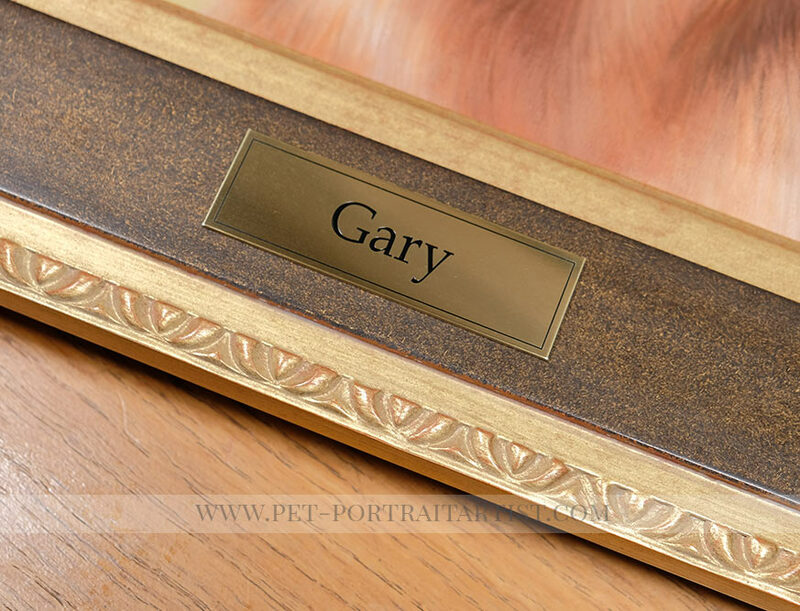 The gold is a lovely warm colour, slightly distressed with reddish undertones which adds interest. The outer gold area has a very pretty pattern which you can see from the photos below. The middle section is completely flat and is a lovely warm dark brown colour with tinymottled flecks of the warm gold mixed in. 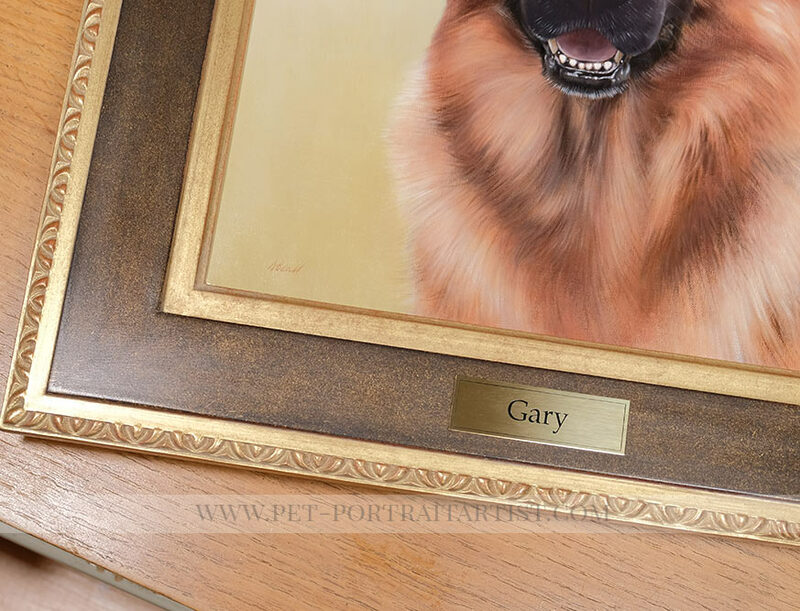 The whole frame is simply stunning and works beautifully with our oil paintings. 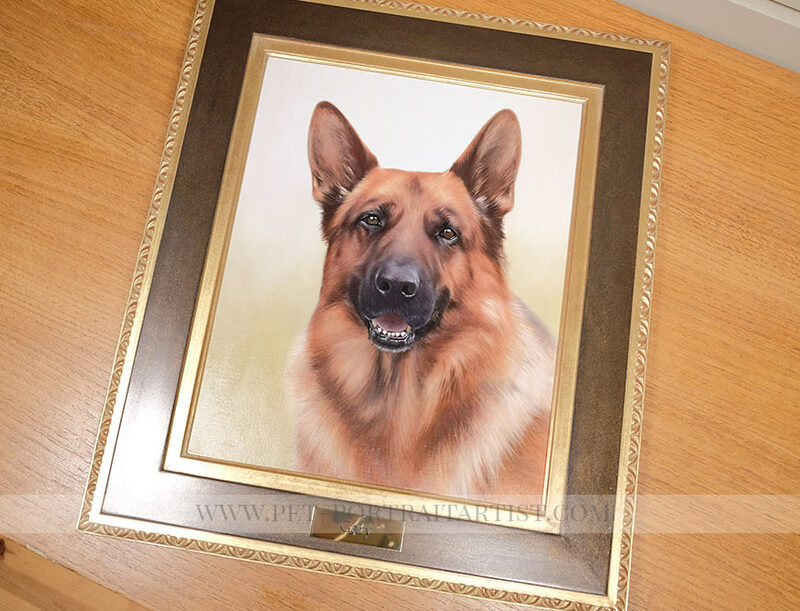 The dark brown colour really enhances the subject and frames our portraits extremely well. 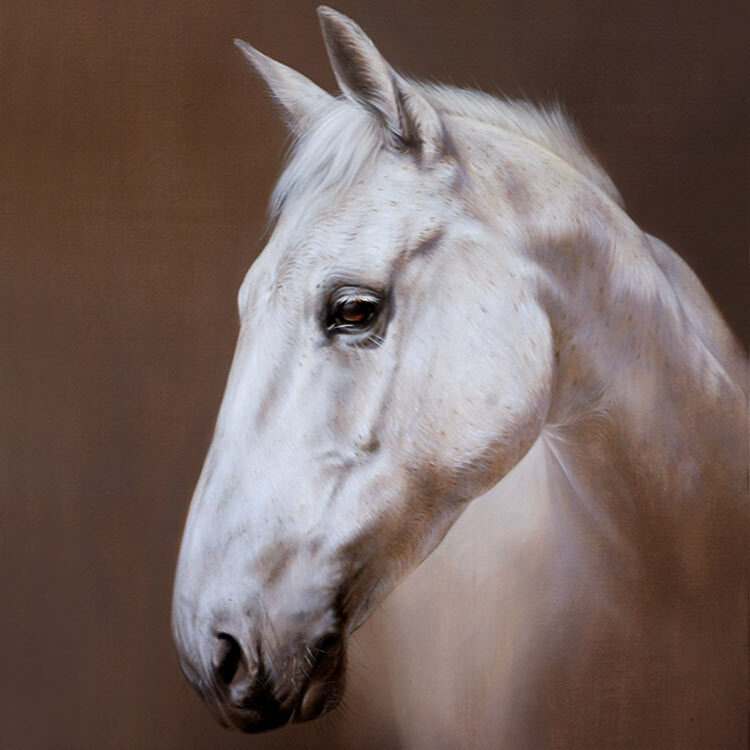 The Albermarle frame is fairly wide at just over 3 inches and would suit the larger sizes oil paintings, however if you like wide frames on your artwork, it would look wonderful at any size. 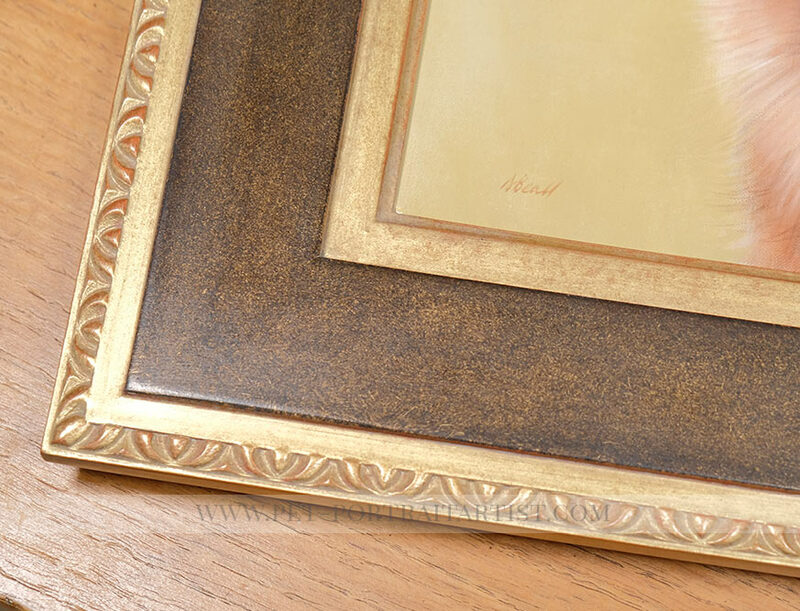 If you are interested in having the Albermarle frame for your oil portrait, drop us a line and let us know. We can get a quote for you from our framers. 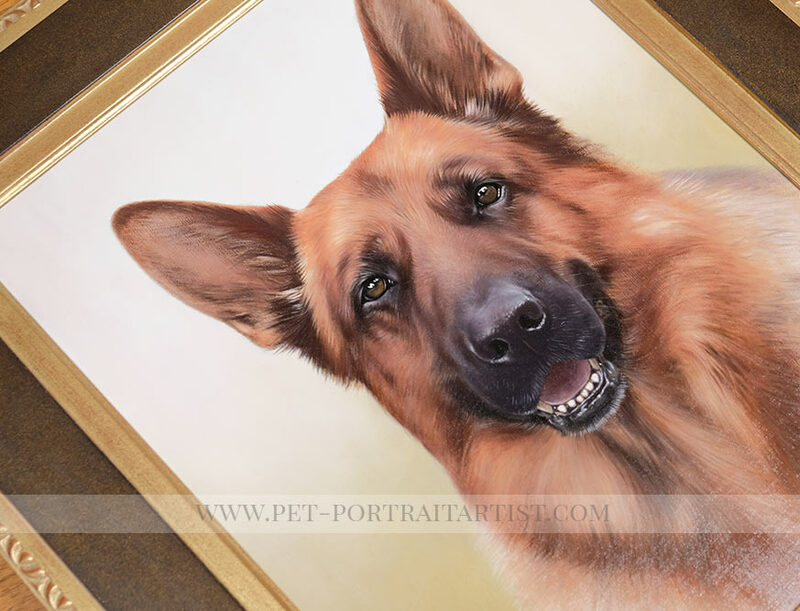 The frames are made bespoke for each client to your portraits exact dimensions and are ready to display on your wall. 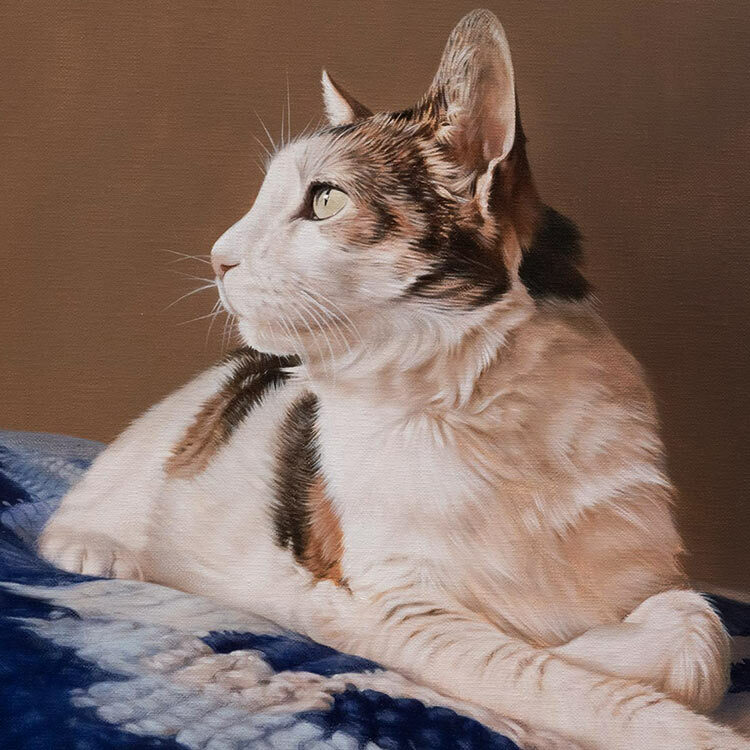 I just thought I had to write to you to tell you how wonderful I think the portrait you painted of my Labrador cross Blue is. My partner has just given it to me and I am so amazed. You have totally captured his personality and his individual 'look' right down to the tiny slant in his right eye. It was so moving for me to look at I almost cried when I first saw it. I am so happy with it I cannot even describe it. Thank you and well done, you are so incredibly talented. It has already been hung in a prominent spot in our home and everyone who has seen it so far has also been absolutely amazed. Thank you so much!